Since the year 2008 Mobile Applications have come a long way to empower and entertain diverse users. In fact, the application development scenario is getting immensely competitive and challenging for new entrants. An article published by YourStory.com has even segmented Application usage patterns – Music (79%), Health and fitness (51%), Social networking (49%), Travel (28%), Entertainment (22%), Sports (16%), Games (15%), and News at (14%). Such data estimates the expansive scope of Application Development in terms of revenue as well as user engagement. 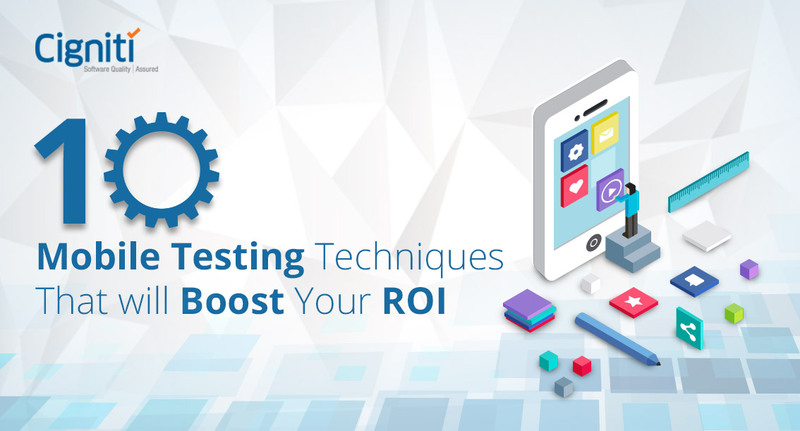 With sheer focus to make applications more compelling and lucrative, App Testers are creating new ways to enhance the testing cycle. Can ‘digital’ enterprises survive without Applications? This is no longer a question, but a statement that holds true in the current scenario of constant digital engagement. Applications can make or break a brand today. If the application works and serves the required purpose at that moment, it can even become a sensation without much of promotional budget allocation. Over the years, the demand for mobile app development companies has also increased, especially for Social Media applications, gaming applications, apps for online booking, and financial/banking apps. There are applications for improving engagement with the users, marketing, and even promotional apps for brands. Thanks to round-the-clock internet connectivity, the usage of apps across all segments of users has spiked. Moreover, adoption of new technologies has taken the application development scenario to a different level itself. Forget about becoming obsolete, mobile applications will continue to stay relevant with adoption of new and emerging technologies. However, application developers and companies investing in application development will have to work towards making the software testing process much more efficient and creative. Gartner’s 2018 predictions for application development center on the emerging roles of artificial intelligence and intelligent business process automation. While the technology can change constantly, the processes and practices have to keep on evolving as well. These are some ways that we have captured to boost the application testing process. What could be better than connecting virtually with the end users of your application? Along with developers, even testers hold the responsibility to understand the usage patterns of an application by the end users. For instance, if it’s an online shopping application, the testers can focus on compatibility testing, security testing, and most critically Performance testing. It will help them to gauge the functioning of the application under various circumstances. If the testers are able to find the gaps this way, consider your application has found the right route. Imaging the experience that the user is expected to get and using the application the way the user might use is the best possible scenario that the tester can create. Does this statement sound right? Yes, it is absolutely in line with the objective to test better. When you test and the test results in positive response; that could be a joyous moment. However, it is recommended to look at negative outcome to make testing more efficient. The objective of testing the application should be necessarily to fail the test. This will result in rigorous attempts and determination to resolve the defect. Testers and developers will ultimately get benefited with these failed attempts, as it will result in more information for them. The information can be archived and referred later. Today applications need more testing, as various scenarios and environment conditions have to be considered while measuring the application’s efficiency. Hence, it is important to keep the testing cycles shorter and frequent. It will help to test more within shorter spans, where both testing and development teams can successfully collaborate and interchange responsibilities as well. This will not only bring speed, but ensure quality of the application under test. An application has to be secure to ensure its stability in the consumer environment. Vulnerability Assessment helps to check for gaps within an application, which saves it from getting hacked or compromised at any stage. It is like diagnosing the application for any loopholes. Especially, in the current digital scenario, the tester cannot miss out on this step. It is a key step in ensuring that the application doesn’t break down in any possible way. Automation tools are being leveraged to not only save time and testing efforts, but also to bring more efficiency to the testing activity. A tester has to ensure that the tool/platform being considered for automation fits the requirement. Also, it is critical to understand the level of automation that should be considered for an application. It helps to keep a strategy in sight while embracing test automation. This will enable the teams to bring the expected efficiency and even maximize test coverage for the application. 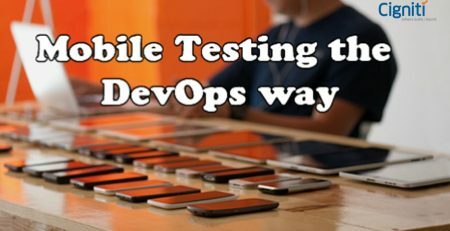 Cigniti’s Mobile Testing CoE provides access to a wide range of testing services, tools, and mobile device lab. 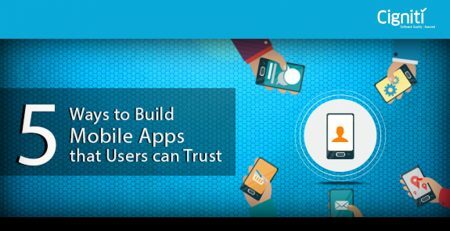 Cigniti’s Mobile Testing experts have strong expertise in testing various mobile apps – native, web, and hybrid, and keep themselves abreast with the latest methodologies, mind maps, and checklists based on platform updates. Our fine-tuned mobile testing service capabilities are ably supported by BlueSwan, a proprietary test platform, and a Mobile Testing CoE. Connect with us to build a relevant Application Testing strategy for your business.